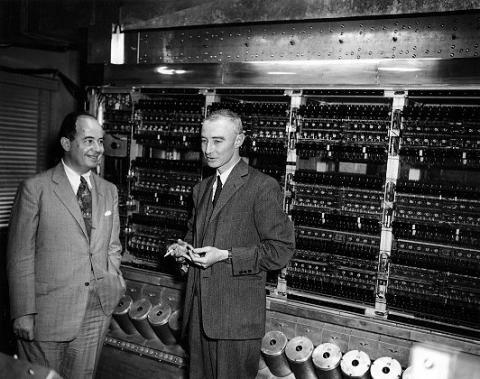 John von Neumann arrives on a visit to Los Alamos, NM and points out the potential for high compression from implosion. This is a clear advantage for the technique which would make a bomb more efficient, and require a smaller critical mass. Edward Teller and Hans Bethe begin investigating the subject theoretically, J. Robert Oppenheimer and General Leslie Groves become very interested in its potential, and efforts to accelerate the program begin. John von Neumann agrees to work on the physics of implosion in his spare time.